Style: Please Choose One98V-Scalloped Edge-Short Length99V-Scalloped Edge-Ballerina Length (+$4.00) Size: Please Choose OnePetiteSmallMediumLarge Piping Color: Please Choose OneWhitePinkBlue Personalization Type: Please Choose OneMonogramSingle InitialTwo InitialsThree Initials Monogram, Single Initial, Two Initials or Three Initials: Personalization Location: Please Choose OneNoneLeft ChestLower Front Corner Font: Please Choose OneNoneDiamond MonogramScript MonogramBlock LetterBlock MonogramFishtail MonogramScript Letter Thread Color: Please Choose OneNoneMatch PipingDark PinkDark Blue Who is this item for? Simple feminine elegance perfectly describes these lovely robes. 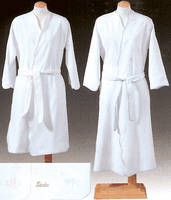 Made from white 100% cotton terry velour with satin piping on the front and cuff. 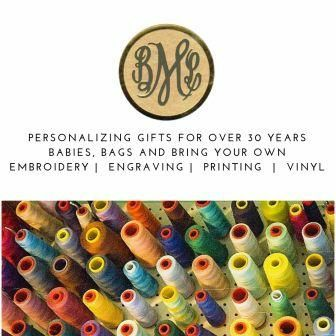 Make it a special gift by personalizing it with her Monogram, Single Initial, Two Initials or Three Initials. Gift wrapping available in iridescent silver paper with a ribbon to match the item.